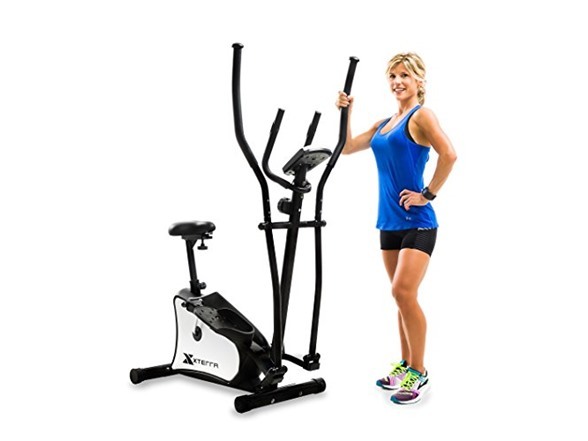 Looking for a comfortable and effective workout for your home? 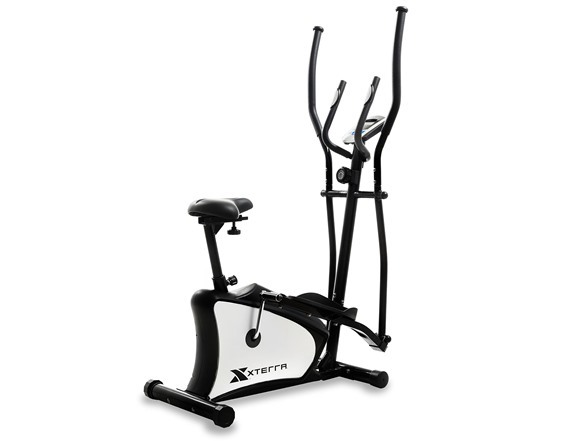 The XTERRA Fitness EU100 Hybrid Elliptical Upright Bike combines a full body elliptical workout with the seated comfort of an upright bike. 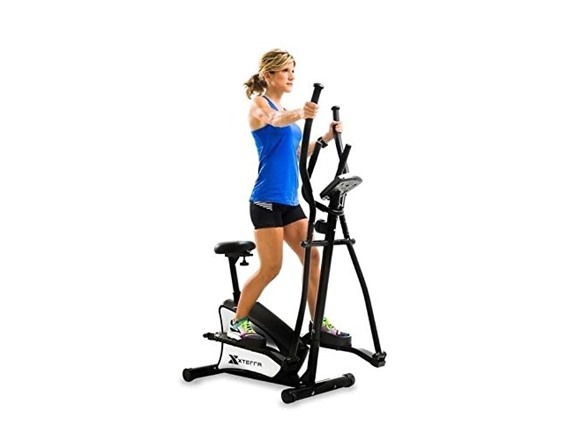 It offers a smooth, non-impact, total-body workout in a compact design. 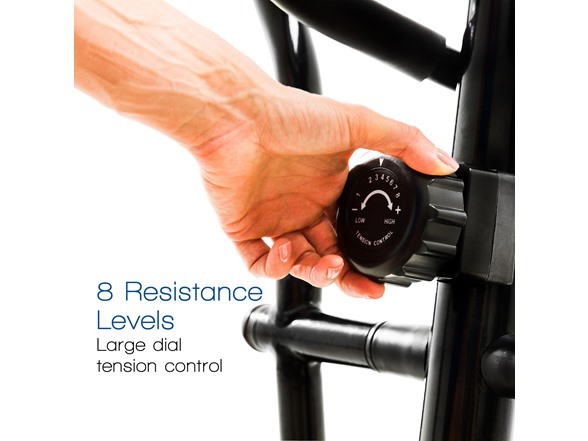 Simply stand on the pedals to experience the elliptical trainer with a 13” stride length, 11 lbs flywheel, belt drive system, and friction-free magnetic resistance. By sitting, you can change the intensity of your workout and target alternate muscle groups. This 2-in-1 combo workout combines two great pieces of equipment into one. The EU100 allows you to challenge yourself with 8 levels of resistance while you easily keep track of all of your workout data with the easy to use console. 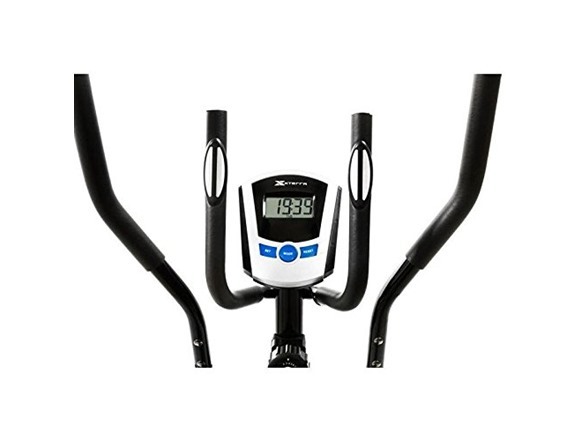 It provides feedback on your time, speed, distance, calories, and pulse, along with an odometer to keep track of your progress. 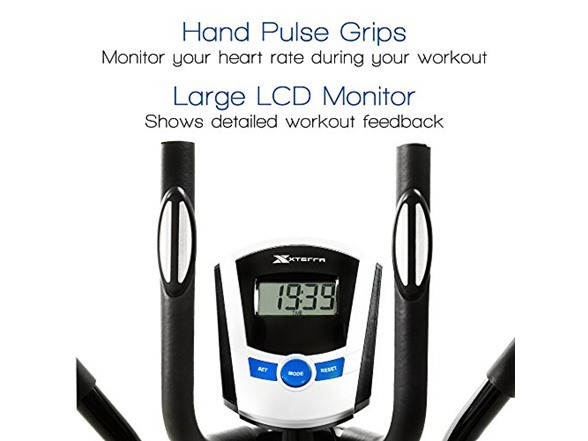 Make your workouts more effective by easily monitoring your heart rate with the handlebar mounted hand pulse sensors. 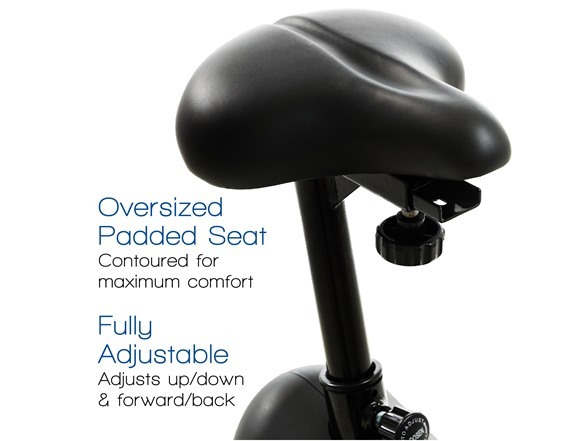 For improved comfort the EU100 provides a large contoured and padded seat that is adjustable not only up and down, but also forward a back for users of all sizes. 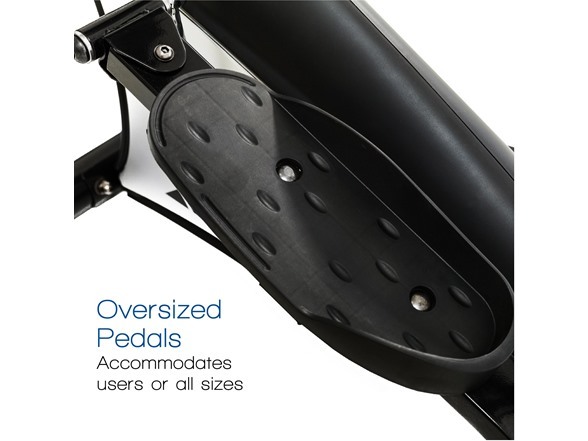 It also comes with multi-grip soft padded handlebars along with oversized pedals. 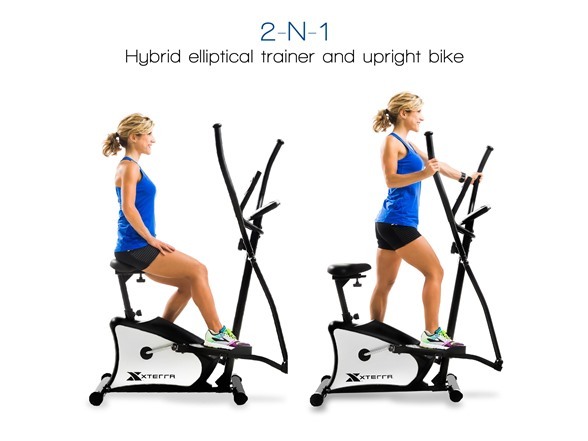 Start enjoying the convenience of total body conditioning in your home today with the XTERRA Fitness EU100 Hybrid Elliptical Upright Bike. Assembled dimensions – L x W x H: 42.5” x 24.5" x 61.5"